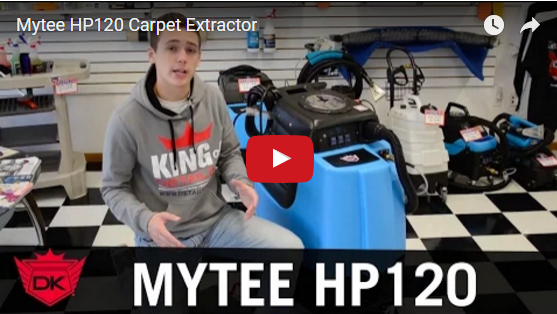 The Mytee Carpet Extractor is the best value in the industry when it comes to automotive carpet cleaning machines and extractors. 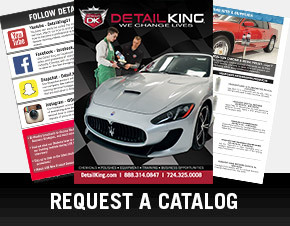 Detail King is Mytee’s largest and best automotive distributor of the Mytee Lite ii, and Mytee 8070 all new for 2014. 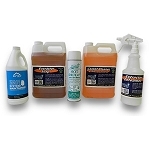 The Mytee Lite series is perfect for the mobile detailer, part time auto detailer and car enthusiast. 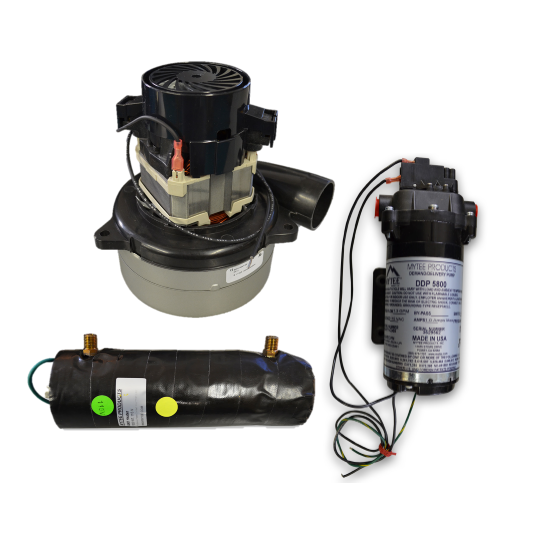 All Mytee Carpet Extractors come with a limited lifetime warranty on the body and a 1 year warranty on the main components including the heating system, vacuum motor and 120 psi pump. 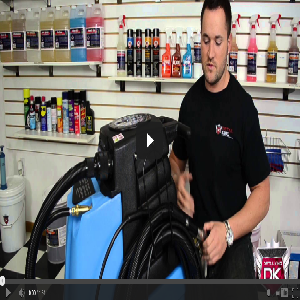 If you have a detail shop, used car lot, car dealership, car wash or automotive body shop you may want to consider one of our larger capacity Mytee Carpet Extractors. The Mytee HP120 10 gallon unit is a powerful heated carpet extractor that is perfect for higher volume production shops. 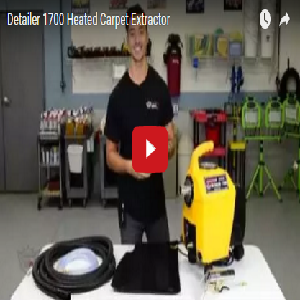 Growing mobile auto detailing businesses and medium size detail shops usually choose the Mytee HP60 hot water carpet extractor which is similar to the HP120 Grand Prix with regards to the 1000 Watt on-board heating system, 120 PSI Pump and 3 stage vacuum motor. 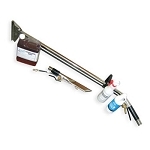 The Mytee HP60 Spyder is a 5 gallon unit. 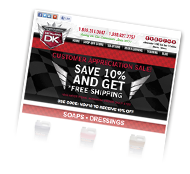 The Mytee Deluxe Prep Center is a favorite choice for automatic car washes that offer full service and express detailing services. 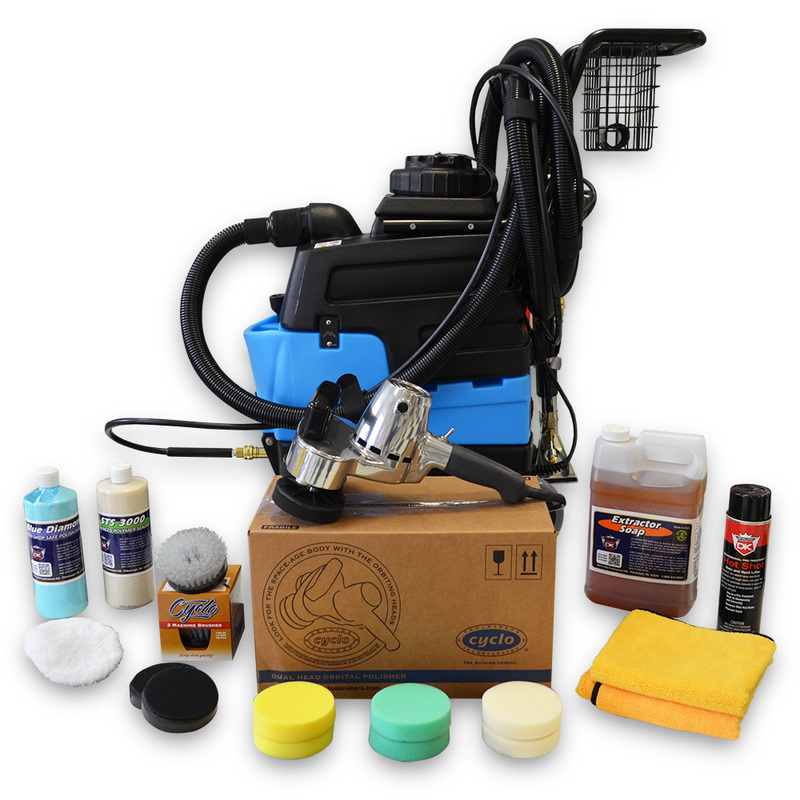 The Deluxe Detail Prep Center is a powerful carpet cleaning machine, vacuum, chemical dispensing system and air blower all in one. The Mytee Tempo spotter is a compact cold water spotter that comes in handy to quickly clean up spots and spills in car interiors. 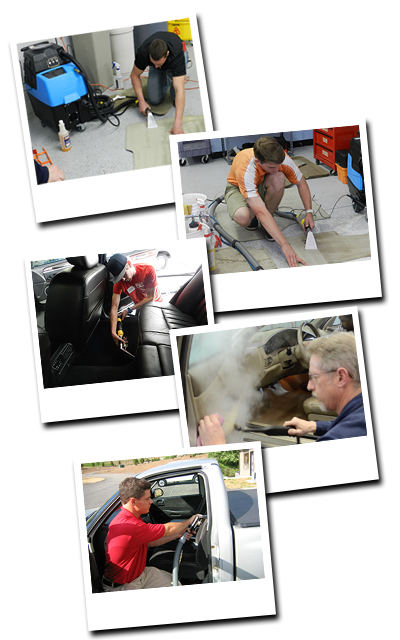 Many professional auto detailers use both a heated interior extractor and a vapor steamer, depending on condition of the interior they are cleaning. 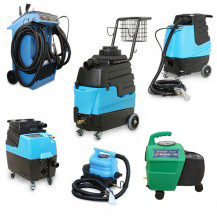 Our DK5800 Steamer is great to assist with cleaning car interior leather and vinyl and is an excellent companion to any of the Mytee Carpet Extractors.